Digital media broadcasting is multicasting the different types of content to different devices such as mobiles, table and other devices. Multimedia broadcast common examples are text, audio, full motion video, programs, images and the combination of above. The most popular application is the mobile television. There are two ways in which digital media broadcasting use and these are broadcasting using a satellite or broadcasting via terrestrial emitters. 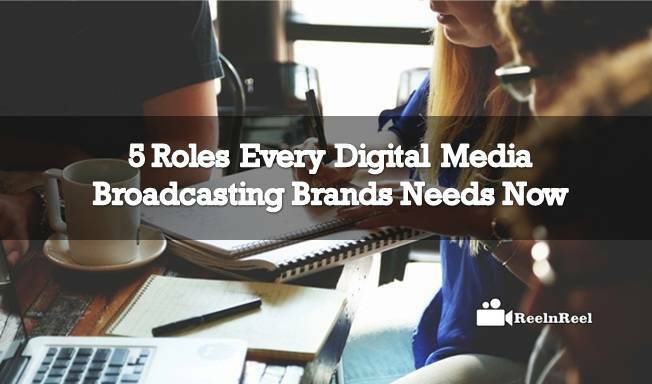 There are many advantages with digital media broadcast, and these include broadcasting programs through thousand of receivers, sending data or content by personalising it to the end user etc. The content strategist for digital media broadcasting creates world class content. The personal should work with a team and also independently and should know the digital storytelling techniques and create cross-platform solutions for clients. A good content strategist should be able to produce content and schedules, ensures an accuracy of program schedule information, edit and proofread different types of content and mange relations with others. Big data marketing analyst has an important role in digital media broadcasting. The analysts use the big data analysis to focus on performance trends and operations information. They generate insights that convert the value of big data into real business value. The roles and responsibilities of big data marketing analyst include helping the sales and marketing executives to understand the audience, conducting marketing research the tracking external trends. In a word, big data marketing analysts are liaisons between stakeholders and the IT teams. The role of marketing analyst is being reshaped by big data. With the evolution of the digital landscape, the role of the digital marketer is extending. Today’s digital marketers know how to analyse the data, create designs, implement analytical tools, run A/B tests or run full-fledged 360-degree live broadcast. These are now also known as growth hackers. The growth hackers should know to collect data and analyse it, know how to design, create content etc. All digital investments need to generate a return. A good user experience and ROI engineering should be able to design a campaign or a product that is easy for the customers to use. This can be an interface, an app or a portal. It is not always easy to measure the return on investment on user experience. It depends on many factors including the project, industry etc. however learning about user experience is a valuable investment as it can influence the future decisions. A good user experience ROI engineer should be able to communicate through the concept maps, storyboards etc. he should work closely with the product managers and should be able to defend design choices. A digital advertising strategist for digital media broadcasting plans executives and analyses online advertising efforts. He tracks and analyses the success of online advertising campaigns and accordingly makes changes to them. Assists with creation of landing pages for ad campaigns, research and explore new ad possibilities and the latest internet technologies. Digital media broadcasting is an asset or any growing business and is a crucial part of advertising budget. Broadcast media is distributing types of audio or video content to the audience through the internet. Digital media broadcasting is a good investment as this ensures that the messages reach the target audience and the business is benefited from it if managed correctly. For this, there is need of talented and experienced workforce that help in creating, producing and distributing digital media content that makes the brand stand out from the competition.